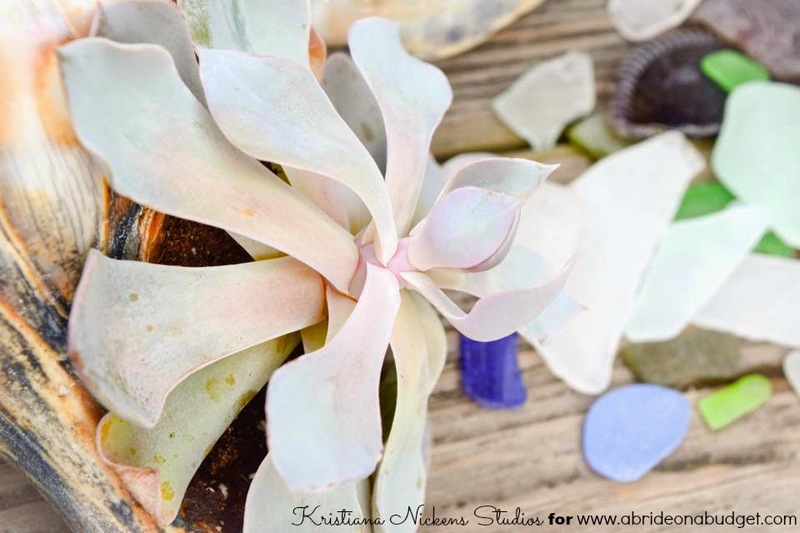 My wedding twin Kristiana (who runs Kristiana Nickens Studios if you're looking to get photos taken) posted the most beautiful succulents in shells on her Instagram, and I was instantly obsessed. 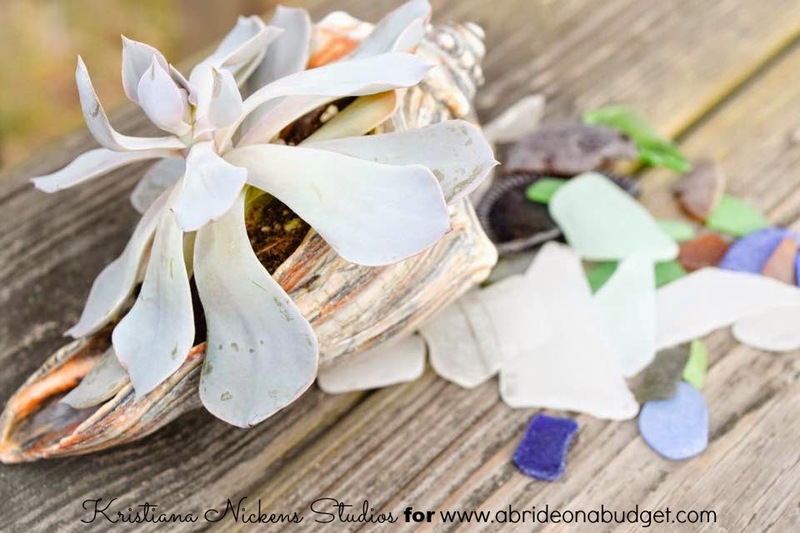 They are the perfect beach wedding centerpieces. But, even better than that, they are such adorable wedding favors. And, she said, they're easy to make too. And affordable, which makes them every sort of perfect. Find shells. You can purchase some on Amazon (like this, this, and this), you can find them at the beach, or you could check a craft store for them. Kristiana suggests whelks and conch shells. 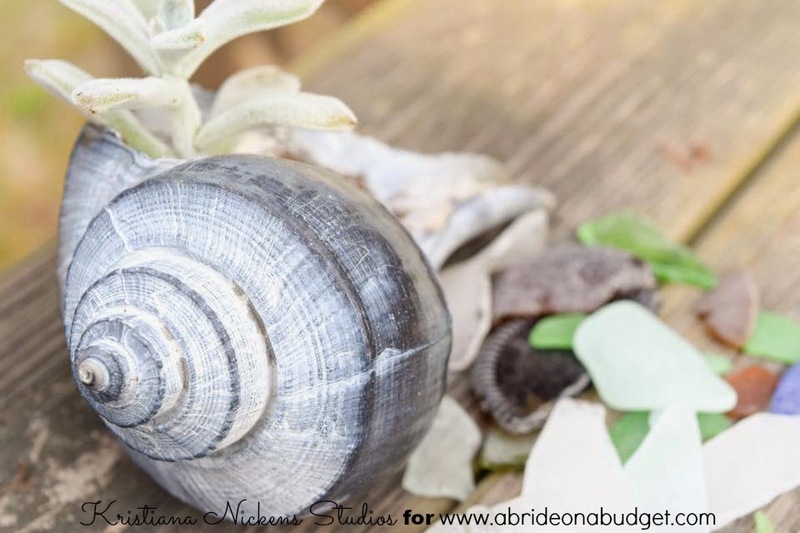 Clean the shell with bleach and hot water (just to make sure you're not bringing any bugs or fungus into your wedding). Fill the shells with potting soil, leaving a bit of room. 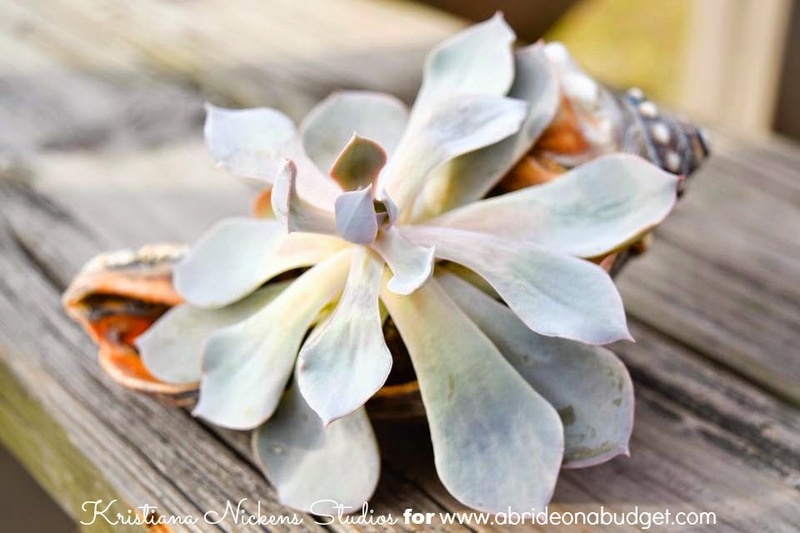 Plant the succulent in the shell, making sure you bury the entire root. That's it. So easy. 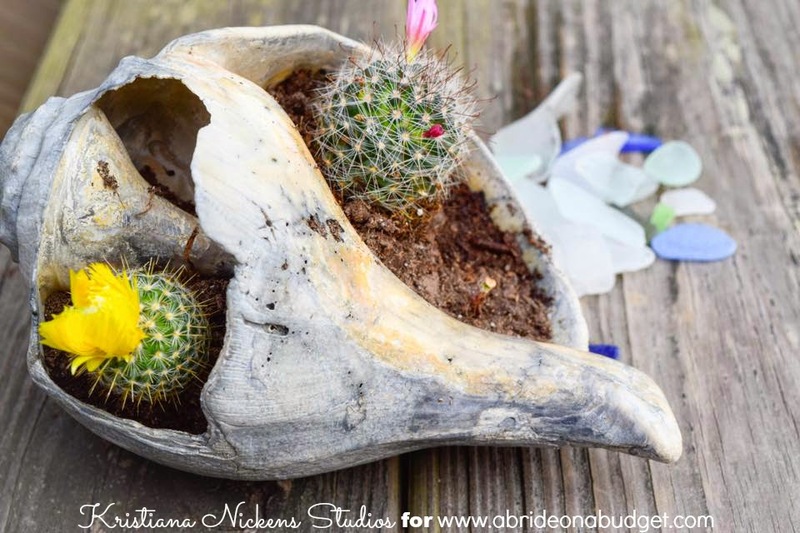 The cactus looks adorable in the scallop shell, which is a a little more out of necessity than style. See, the cactus root was a lot bigger than the succulents, so it needed a deeper shell. Your guests can water these from time to time and that's the only maintenance they need. 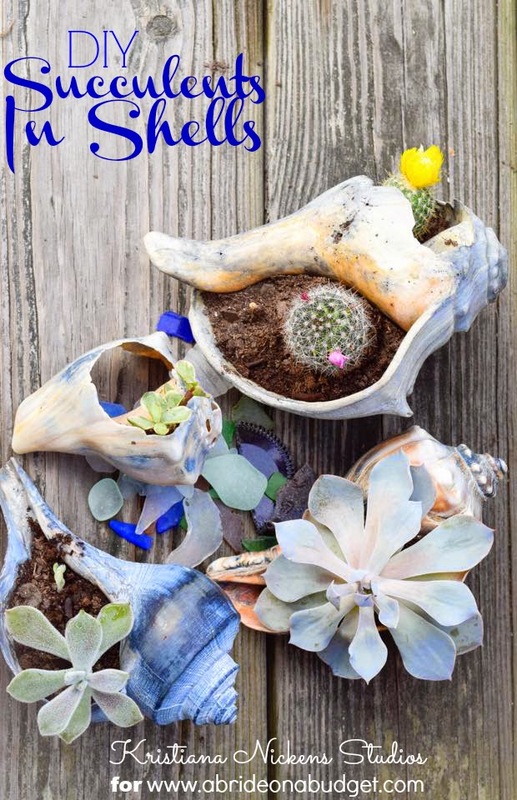 If you want to dress them up to match your wedding, you can actually spray paint the shells your wedding colors before planting succulents in them. They look beautiful that way too. Big thanks to Kristiana Nickens Studios for the photos. To see more of her incredible photography, follow her on Instagram at @kristina.n. 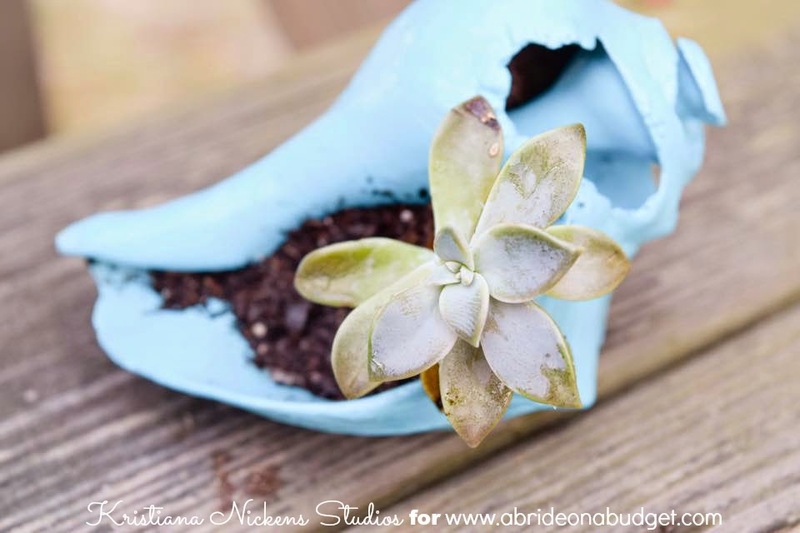 BRIDAL BABBLE: Would you use these succulents in shells as wedding centerpieces, favors, or decor? Yes, very pretty for a beach wedding. You could have used these at yours! This is pretty neat, I like how you can really customize the shells(really like the gold looking one in the photos). I love this! It's funny that last week's post that I checked out was about succulents too. 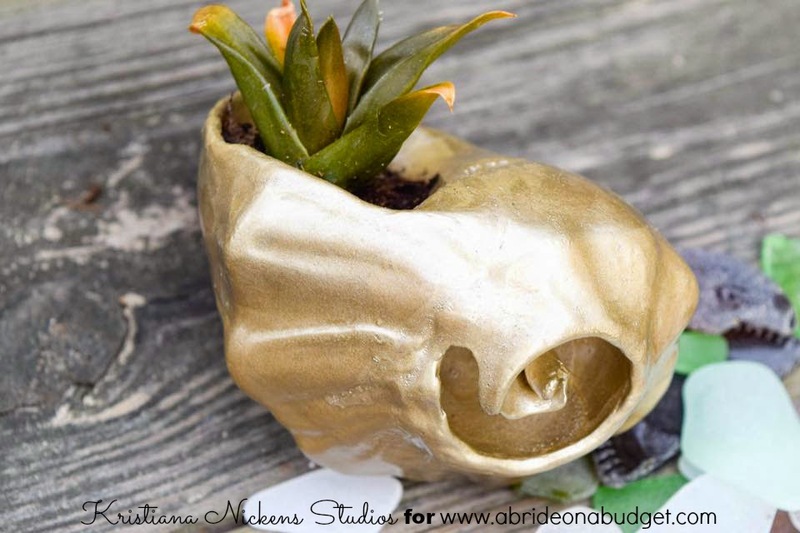 I love succulents and now I have a few great ideas! Thank you. These are beautyful! I love succulents and this is an adorable idea on housing them. Thanks for sharing! They look lovely and not just for weddings either! I think they would make great favours - as a guest I'd be VERY happy to receive something like this. Very cute! I love succulents! Visiting from Whimsy Wednesday! I love succulents! These are very lovely. I'm pinning, and maybe my sister will decide she wants to use these for her wedding this summer.